Here is Charmin giving Tink a quick face bath before she can dash away to play with the other kids. There is no doubt that does form strong, long-lasting bonds with their offspring. It is not unusual to see kid, dam and granddam all lounging in the shed together as a family group. Goats also develop relationships with other individuals in their herd, prefering the company of these companions to the exclusion of other goats. In the pasture trimming feet, worming or performing other husbandry tasks, while we are working with an individual goat we are often very closely monitored by their "friend" or "friends". These friends stand patiently beside them until we have completed our chore. I have even occasionally been nudged or mouthed by the "friend" goat as a reminder to be gentle and not cause harm to their companion. Most of our readers are already aware that a single goat is a lonely goat, and that goats thrive with companions of their same species. And I'll admit that I keep a doe or two that I don't much care for strictly because they are the "friend" of a doe that I don't want to part with. But that's OK...solid social relationships are good for both man and animal. Who wouldn't respect those bonds? Today anyone has an Android smartphone all around the world. This has lead to developing a tons of apks that provide servises such as games, entertainment and others. To download any app a user must get an account at Google Play. But not all apps are available there as they don't meet the Android rules. To avoid this a new app was developed - TutuApp. This helper works on Android run tablets and it has the biggest library of APK apps. We name a few: Pokemon Go, Spotify, Clash of Clans, Snapchat and others. They come with zero ads and locked content! Whant to know more? Visit Tutu App Helper Android to download TutuApp APK for free on your Android device. Installation instructions for TutuApp Helper are available there. 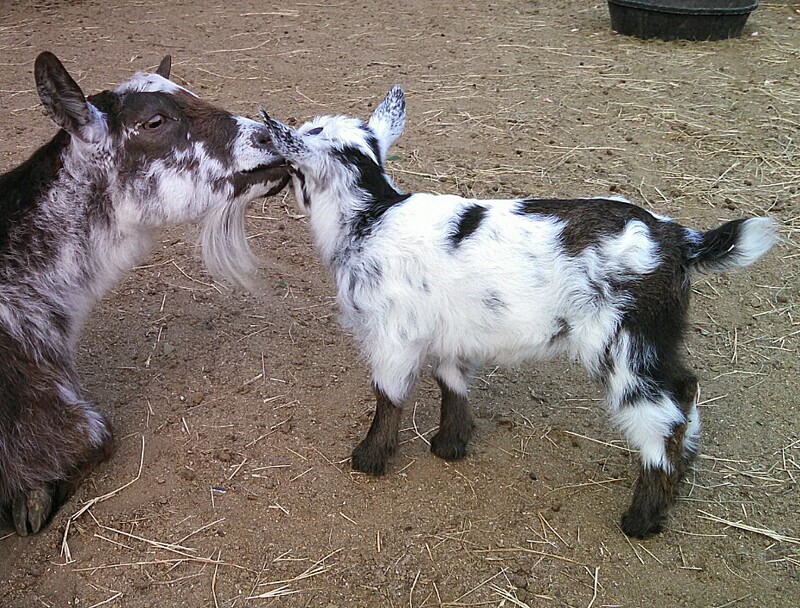 We raise Nigerian Dwarf goats as a hobby and we are looking for a billy. Could you let us know if you have one for sale?